The senior was a force on the defensive of the floor for the Rattlers. EDINBURG — Rio Grande City senior Jocy Amaya is not a stranger to All-Area distinction. The forward was named to The Monitor’s All-Area First Teams in 2016 and 2017, in large part due to her scoring. Amaya averaged 16.3 points per game from her freshman through junior years, but other elements of her play weren’t getting a share of the limelight. In addition to her scoring numbers, Amaya wreaked havoc defensively. Seven of her 9.7 rebounds per game came on the defensive side of the ball, and she also averaged 3.4 blocks and three steals per contest. Amaya’s defensive prowess earned her yet another All-Area honor: Defensive Player of the Year. Amaya’s offensive production didn’t suffer by any means during her senior season. Her 24.1 points per game average was tops in the Upper Valley, but opponents couldn’t find many ways to score around Amaya. On the flip side, Amaya said channeling the energy to defend wasn’t easy given her scoring output. But she had one advantage that helped her grab 11 defensive rebounds and block 10 shots against Laredo Martin on Dec. 8. 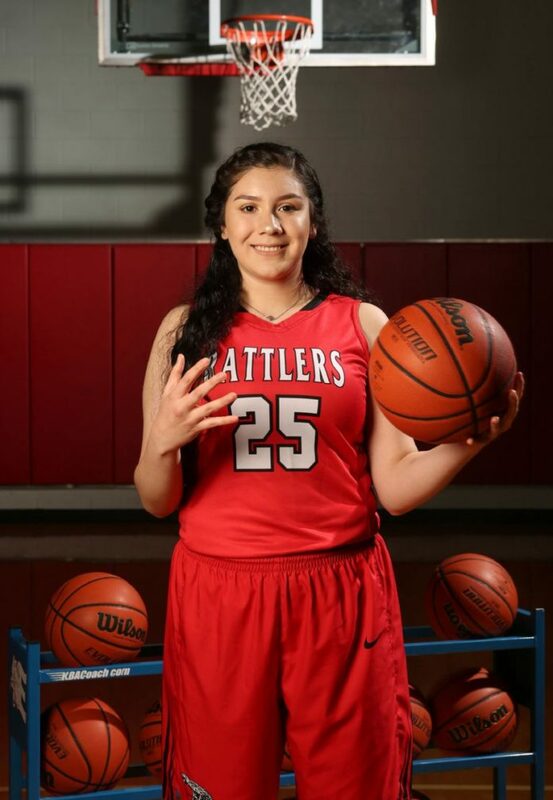 After defeating Mercedes in the bi-district round, Amaya ended her Rattlers career in the area round with a 47-33 loss to Corpus Christi Tuloso-Midway on Feb. 16. Tuloso-Midway neutralized Amaya on the defensive end, holding her to six rebounds and a steal, though she did block three shots.